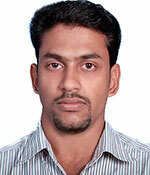 Mr. Pramod K completed his AMIE (I) in Mechanical Engineering in 2007 and his M.Tech from NIE, Mysore . He joined SNGIST in 2010. He served as Head of the Department of Mechanical Engineering from 2012 to 2014 and HoD, BS&H from 2015 to 2016. He worked as HoD, Mechanical Engineering in ILM College of Engineering, Perumbavoor in 2017. He is the HoD ,BS&H in SNGIST from 2017 . He has six months experience in industry and presented papers at National level. Ms Jasmin P A completed her M.Sc in Mathematics from M.G University. She did her M.Phil in Fuzzy Mathematics from Vinayaka Mission University and did B.Ed in Mathematical Science from M.G University. 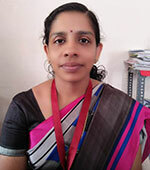 She joined Matha College, N.Paravur in 2005 and continued her service for five years. From 2010 onwards she is serving SNGIST. She has presented papers in National seminars. Ms.Resmimol N.R completed her M.Sc in Mathematics from St. Thomas College Pala in 2006 .She did her B.Ed in Mathematical Science from St. Thomas College of Teacher Education, Pala in 2007 and qualified SET in 2007. She worked as Guest Lecturer at Govt. College of Engineering of CUSAT, Poonjar from 2007 to 2008. She worked in Amrita Vishwa Vidyapeedam from 2008 to2010 . 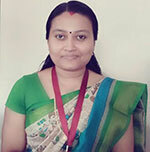 She has been working at SNGIST as Assistant Professor in Mathematics 2010 onwards. 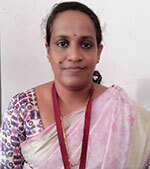 Ms. Divyalakshmi P.G completed her M.Sc in Chemistry from Maharajas college in 2003 . 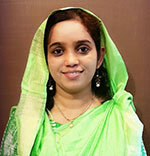 She did her B.Ed in Physical Science at SNM Training college, Moothakunnam in 2009. She worked as guest faculty in M.Sc Chemistry course at The Cochin College in 2006 and has been working as Assistant Professor in Chemistry at SNGIST, 2010 onwards. 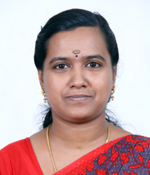 Ms.Saritha.U.M completed her M.Sc in Mathematics from St.Pauls College, Kalamassery in 2000.She did her B.Ed in Mathematical Science from SNM Training College ,Moothakunnam in 2002 and qualified SET in 2006 .She worked as a teacher in Al Majd English School,Dubai for 1year , International Indian School, Ajman for 2 years and MES Indian School, Doha for 2 years. She has been part of SNGIST, 2011onwards. 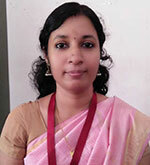 Ms. Priyanka N R completed PG in Economics from Union Christian College, Aluva in 2010 . She did her Diploma in Cooperation and Business Management at Cooperative Training College, North Paravur.She worked as Asst. 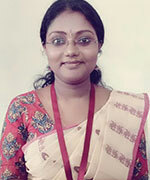 Professor in Economics at SNMIMT from 2010-2011 and joined SNGIST in 2012.She is doing Ph.D at Bharathiar University and has published three national papers. Ms D. Babita completed her M.Sc in Mathematics from Jai Narayana Vyas University, Rajasthan. She worked in Administrative front of M/s PerkinElmer India Ltd. as Secretary for a period of 4 years and in M/s Doux Technology for 1 year. She has also worked as teacher in St. John`s school in Jodhpur and St. Anne`s school in Trichy. She is with SNGIST 2012 onwards. 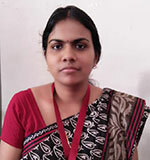 Ms. Ayana T.R completed her M.sc in Physics from M.G University in 2002.She completed B.Ed in Physical Science from SNM Training College, Moothakunnam in 2003 and qualified SET in 2003.She worked in Adarsha Vidya Bhavan for one year and Model Technical Higher Secondary School in 2005. She did a course in Quantum Computation from Keller university, USA and worked in Tech Gene solutions ,USA as Quality Ananlyst. She joined SNGIST in 2013 . Ms. Anju K Prakash completed her M.A in English Language and Literature from UC College, Aluva in 2013 .She did her B.Ed in English at HDPY Training college, N.Paravur . .She qualified SET in 2016. She worked as teacher at St. Ann`s EMHSS, Eloor in 2014 and has been working as Assistant Professor in English at SNGIST 2015 onwards. 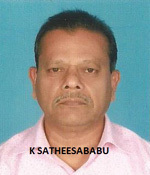 Mr. K Satheesababu has 32 years of teaching experience as Associate Professor in Physical Education at SNM College, Maliankara and SNM Training college, Moothakunnam. He worked as Assistant Professor in Physical Education at SNMIMT , Maliankara from 2016 to 2017.He joined here as Assistant Professor in Physical Education in 2017 . His qualifications include M.A,M.P Ed, M.Phil, PGDSM, TTC in Yoga. He has four years experience as NSS Programme Officer. He served as Chief and Chairman for degree and P.G Examinations of M.G University.